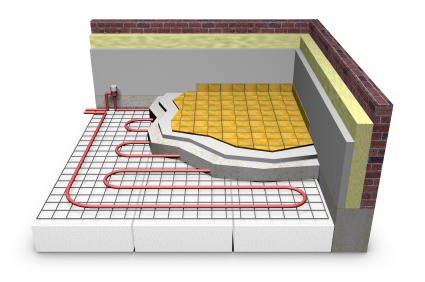 If you installed the Entran II radiant heating hose in any of your construction projects, you may find yourself facing lawsuits from disgruntled property owners. The defective hose was widely used in the Rocky Mountain states in the 1990’s and has caused considerable property damage in the form of heating failure, water damage or both. Many Colorado homeowners are seeking restitution for these damages, and lawsuits are being brought against the installers as well as the manufacturer, Goodyear. Contact one of the experienced Denver, Colorado construction claims consultants at Schlueter, Mahoney & Ross P.C. for assistance and advice if you are facing such a lawsuit. Our team of legal experts has extensive experience in the Colorado construction industry and has represented a wide range of industry clients from individuals and shareholders to business owners, investors and large and small corporations since 1989. Our construction attorneys are fully versed in Colorado construction practices, regulations and other areas of real estate law and can represent your best interests in a legal situation. Our services can include construction litigation, construction arbitration and construction mediation, any of which may be suitable to your case. If you are repairing damage resulting from Entran II hoses, our construction lawyers can perform a construction risk management analysis and draw up contracts that protect your interests and limit your liability related to Entran II damages and subsequent repairs. Our construction law attorneys, Michael A. Schlueter, Elliot Fladen and Lisa C. Secor represent clients throughout Colorado, including Denver, Aurora, Broomfield, Boulder, Greely, Commerce City, Lakewood, Highlands Ranch, Littleton, Arvada, Westminster, Pueblo, Thornton, Colorado Springs, and Fort Collins.